Though I do not consider myself an audiophile, I, along with most people, enjoy great sounding music. The Shure SE310 definitely fits the bill of great sounding headphones. From the first time I heard the SE310’s play I was amazed. I was lead to believe I knew the sound of great headphones, but I was soon proven wrong. The SE310’s are in-ear headphones which allow lighter weight headphones and easier to travel with. Granted, the SE310’s are not the average priced headphones at $299, but they show they are well worth the price. In my opinion, the SE310’s appear to look similar to the average pair of black headphones. From holding the SE310’s they feel extremely lightweight and are capable of being folded into your pocket. A luxury of purchasing the SE310’s is the Shure protective case that comes along. The protective case fits well in traveling bags. 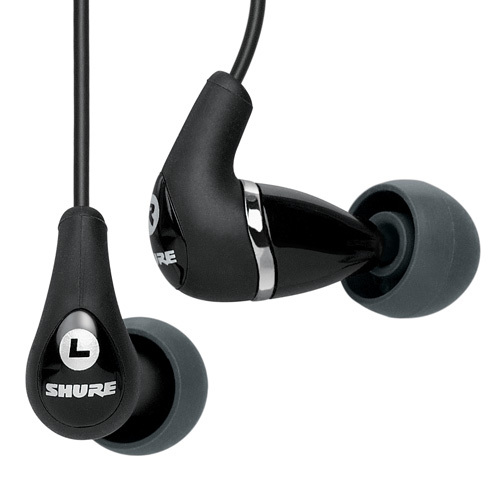 When hearing the word Shure, one of the thoughts that many come to mind maybe impeccable sound. In the Shure SE310’s, the legacy does not fail. From listening to headphones while writing this review, I have enjoyed the sound as well as the comfortability when listening. I would recommend the Shure SE310’s to anyone who is looking for a great pair of headphones and willing to pay the high price. Though the price may not be attractive, the quality of headphones outweigh the cost of the headphones.